Is Lisbon a safe city? When we go to some place, especially on vacation, we always think about safety and how safe is a place! So, how safe is Lisbon? Violent crimes and mugging are extremly rare! On the other hand, minor crime like pick pocketing and bag snatching have increased over the years. Simple attitudes are enough to avoid unpleasant situations: keep an eye on your luggage on public transport, don´t show expensive values in the street and, at night, try to walk in places with good light. Actions that attract unnecessary attention are not recommended. Follow simple advices and enjoy a fabulous time in Lisbon! The Bairro Alto is one of the most characterful and attractive neighbourhoods in Lisbon. It’s a place where people meet in an eclectic and multicultural atmosphere. Small restaurants, Fado houses, bars, pubs and Cafés as well as some unusual, expensive shops are all around the streets, lanes and alleys. It is interesting that Bairro Alto presents a fundamentally different face during the day than from night time. Throughout the day the busy hustle and bustle of the inhabitants, who mostly know one another, predominates. At night, everything is different. Restaurants, Bars and some eccentric and trendy shops, that stay open until late at night, are full of tourists and people of all ages. With its narrow, up and down streets, Bairro Alto is a place that never sleeps, promising an enjoyable night to its visitors. The main streets of Bairro Alto are Rua da Rosa where most of Restaurants, Bars and clubs are located and Rua do Norte where you can find the alternative fashion shops. 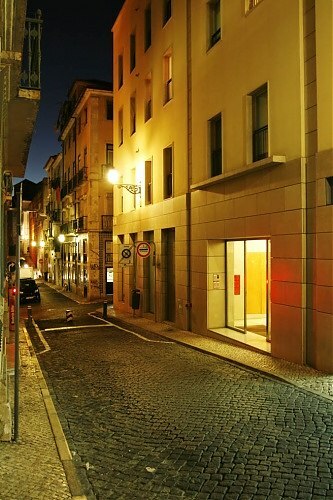 At times, the Bairro Alto area was strongly influenced by the newspaper industry with many small printing works and editorial offices setting up business here. The roads Rua do Diário de Noticias and Rua do Século still bear witness to the offices of two of the larger daily newspapers which were once produced here. Walking up the vantage point is Principe Real, where along with some second-hand bookstores and antique shops can be found. In some ways, this place is an extension of Bairro Alto and a friendly place in which there are plenty of bars and clubs. If you want to visit Lisbon and choose to stay in a self-catering apartment in Bairro Alto, we have suggestions for you. Search for apartments in Bairro Alto! Que faire à Lisbonne en septembre? Investissement locatif au Portugal: comment faire? Que faire quand il pleut à Lisbonne?